Honourable mentions go to MAC Blonde Mineralize Skinfinish, MAC Snob Lipstick & also Illamasqua Burnish Bronzer. 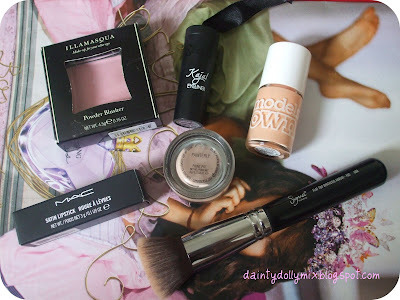 Thats all for this month girlies :) What items have you been loving recently? Link me up to your favourites! I love your blog! Been following it for a while now! 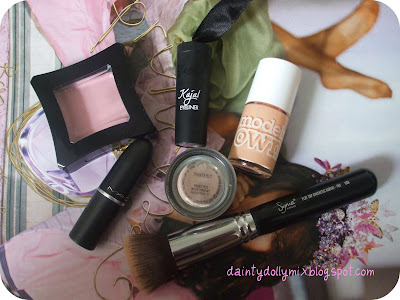 I love the MAC products, unfortunately I have to travel down to Edinburgh or Glasgow to buy it and I live in Aberdeen. So, you can see my dilemma! I've been wanted a blush simillar to Well Dressed, but more pigmented. I'll deffinitely check Katie out! GREAT favs! I am FINALLY getting that nail polish through a swap- should be here next week! I have been wanting it for so long, looks like the perfect peach shade and peach is my fav color! All the others ones I have tried have been to orange or bright! Wohoo :] Im excited! We don't have any ModelsOwn around here, Illamasqua (yet), or Sleek! It is frustrating! I want that Sleek eyeliner now, ive been needing a good quick/easy eyeliner for work mornings. 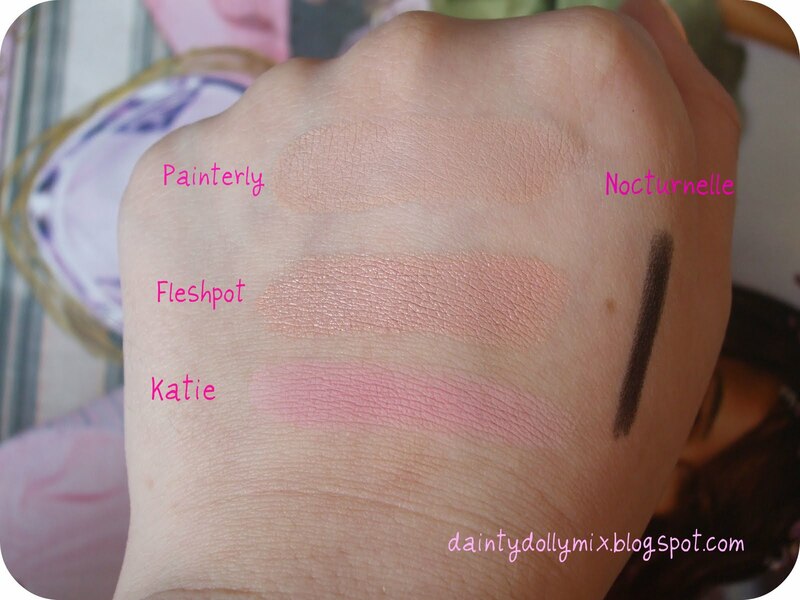 Fleshpot, Painterly, and Well dressed have been on my wishlist forever now! That Kaite blush looks beautiful! NYX has a similar shade called Peach but it is not peach what so ever, a beautiful pink! ♥ best wishes doll! HAVE A GREAT 4th!! Oooo I want that brush.. I've wanted to try sigma brushes for a while now and never got around to it! I adore Peach Sherbet. It's absolutely stunning. Great favourites post lovely :). Thanks for sharing your beauty tips! They are so great! 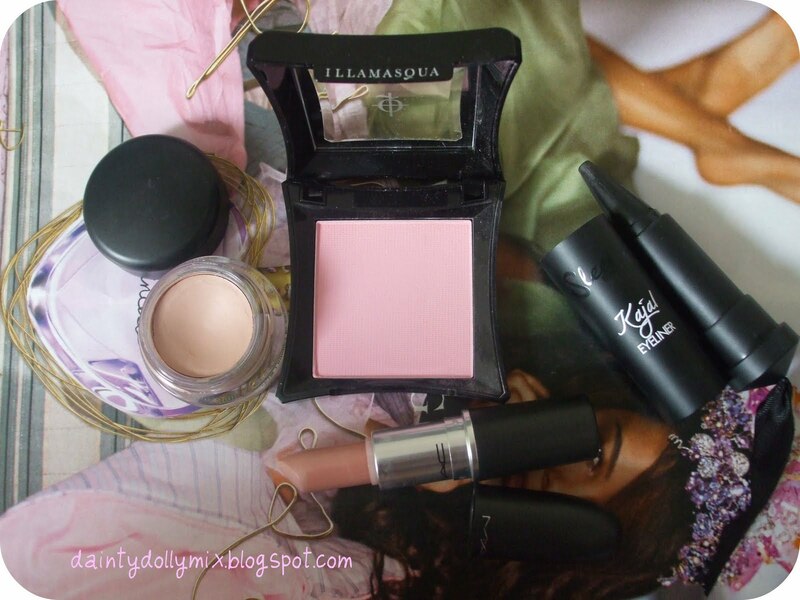 THAT SIGMA Brush is on my wishlist!! perfect pigmented matte baby pink! Pretty! !stumbled on your blog -lovely! !